WHY COMPROMISE YOUR LAVISHING LIFESTYLE WHEN YOU CAN AFFORD IT WITH PROPERTY IN PRIMROSE ROAD BANGALORE? 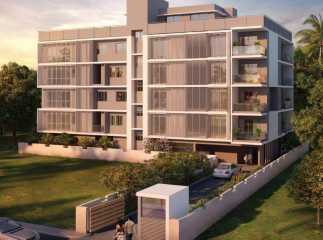 Property in Primrose Road Bangalore is beautifully carved with modern architecture and best infrastructural facilities. These ready to move projects in Primrose Road are available with luxurious amenities and host a lifestyle which is very modern and comfortable. These ready to move projects in Primrose Road Bangalore in Primrose Road are signs of the healthy and positive environment and are located at a prime location. The amenities and facilities are enough to satisfy buyers basic needs without wasting much time going too far places in search of your needs. Real estate consulting services is one of the best solutions to residential apartments in Primrose Road Bangalore. They ensure and focus 100% customer satisfaction on their real needs. People who cannot buy these flats can also be provided with loan facilities. These builders have tie-ups with the reputed banks or financers. They even assist home loans through financial institutions. They even help the buyers with the process of sanctioning and disbursal of home loans.